Do you feel you like you barely have room to move around in your bathroom? If you are tired of bumping into the sink every time you hang up a towel, it may be time you employ techniques that enable you to increase your sense of space. From smart storage solutions to visually enhancing your space, you can turn a small, awkward bathroom into something comfortable and chic with just a bit of planning. Is your bathroom vanity cluttered with products? Does it seem like there is no place to store extra towels, toiletries and cleaning supplies? We understand that there is nothing like a clean, streamlined bathroom, but finding space to store those extra items can seem impossible. Steal space from territory that has not been used in the bathroom. This can be the blank walls next to your vanity mirror, the area above your toilet, or corners that go unused. You can even consider building recessed shelving units inside the shower so that you can keep soap and shampoo off the countertops and floors. Also, be sure to use baskets to keep small toiletries and items neat and organized. Lastly, do not forget about the space behind the toilet. Perhaps, you can add some style and storage with a beautiful shelving system or cabinet. Are you adding a master bath to your bedroom but find that there is little room to add in a toilet and sink? Do not worry this is a common problem that several homeowners will face. Try expanding the sense of floor space by keeping everything off the floor. Opt for a floating toilet and sink. By suspending these items, it will help make the room feel much bigger. Additionally, keep furniture to the minimum. Furniture and bulky items can create an overwhelming atmosphere. Opt for lightweight, smaller pieces to create a sense of balance in your small space. Do you want a separate shower enclosure but there is no room? If your home has one main bathroom, you may find that keeping the bathtub is necessary. You can turn that small space between the bathtub and the sink into a shower stall by installing wet-room flooring. Use a frameless shower stall to avoid making a visual interruption, or you can do something traditional by combining the bathtub and shower. If you are looking for the perfect wet-room flooring, please do not hesitate to call or visit one of our locations. We would love to provide more information to help you create the bathroom of your dreams. What Colors Should I Use in My Living Room? While designing and decorating, you may be wondering “what shade should I paint my living room walls?” When it comes to choosing a hue to paint your living room, it is all about the mood or atmosphere that you are hoping to set for the space. If you want to create a big, bright atmosphere, you will most likely go towards more bright, light colors. On the other hand, if you are interested in a tranquil setting, you may opt for subtle, cool tone colors. With so many different colors to choose from, you are probably having difficulty settling on a hue. To help you find the right shade, we gathered our favorite color schemes and why you should consider choosing them. Let’s take a look! If you enjoy a more traditional and classic look for a living room, you might want to use a neutral color palette. In a neutral palette, you will embrace colors like black, white, taupe and even grey to create a chic, simple design. 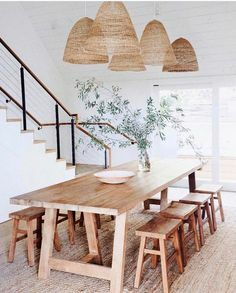 You can also warm up the space and add character to a neutral palette by adding wood accents. Using different wood tones in a neutral palette will make the space feel inviting. Moody and deep hues like navy blue are perfect for creating a stylish oasis. Applying a blue to the walls make the space feel more intimate. This color also makes for a dramatic backdrop with your furniture and wall decorations such as artwork, prints or mirrors. 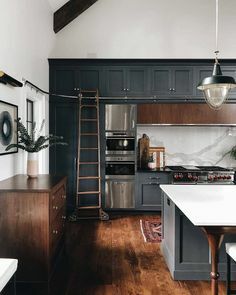 In a living room that uses lots of this deep and dark color, you will want to complete the look with lighter furniture. You may even consider painting the ceiling the same color to create an even more snug atmosphere. It is all about your preference and what mood you are trying to set. You can create a super tranquil living room by incorporating colors like greens and light blues and using one of these colors on the walls to create the ultimate soothing feel. You can highlight the look with the upholstery and pillows in muted, neutral tones. Or, when using cool colors in a room, you can complement with darker accessories. Of course, you do not have to use a set color in the living room. Painting the walls white allows you to decorate with different patterns and textiles. 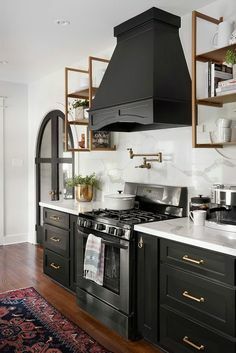 With white walls, you can also contrast with intense colors like black to create the ultimate effect. The options are truly endless for a white color scheme. When choosing paint for your home, what colors do you tend to lean more toward each time? We would love to hear your thoughts below in the comment section. Should I Use a Shower Door or a Shower Curtain? When it comes to personalizing your bathroom, a few ideas always come to mind on your must-have list: the colors, the materials, and the lighting. Another important decision for this area is whether to use a shower curtain or shower door. There are pros and cons to each so it may not seem like too easy of a choice just yet, but read on to find out which one sounds more appealing to you. Going with the obvious reasons, we all have our preferences for the way a feature makes the room look. This is no different when it comes to the curtain/door debate. A shower door makes a simple, understated impression while a shower curtain provides a little visual movement to the space. A shower door, while not easily changeable, provides a more sophisticated look to your bathroom while a shower curtain injects a little fun with its possibilities since curtain designs can be switched out at any time. Choosing a shower door would mean committing to the look it will provide the room while a curtain would be able to be updated on a whim if you become bored with the color scheme. The next issue to think about when choosing this bathroom feature is how much time you want to invest in its maintenance. A shower door requires daily wipe downs to keep stains from building up on the glass. If it slides open and closes on tracks, these also need attention since mildew can easily be built up in this difficult to reach space. If the door opens and closes, be sure that the hinges are cleaned regularly to avoid a similar problem in that space as well. A shower curtain can be low maintenance for the simple fact that if you notice the inner or outer liner is starting to stain, the material can easily be restored through mild cleaners and a sponge or a cycle in the washer if it is fabric. If stains are particularly stubborn, usually at the bottom where water is most likely to come into contact with it, you can simply throw it out and purchase new materials. When it comes to affordability, shower curtains end up being the less expensive choice while a shower door requires more of a commitment and investment. If you feel that you are not ready to commit to the idea of a shower door, a curtain may be for you. If you are willing to put aside a little extra money in your budget to add an elegant touch to your bathroom, consider installing a shower door. Either choice is an excellent idea. It truly depends on your personal style and what tone you are trying to set for the space. We think that there is something effortlessly elegant about a shower door, but shower curtains offer homeowners with more design freedom. What are your thoughts on the debate? Are you team shower door or shower curtain? We would love to hear your thoughts below in the comment section.